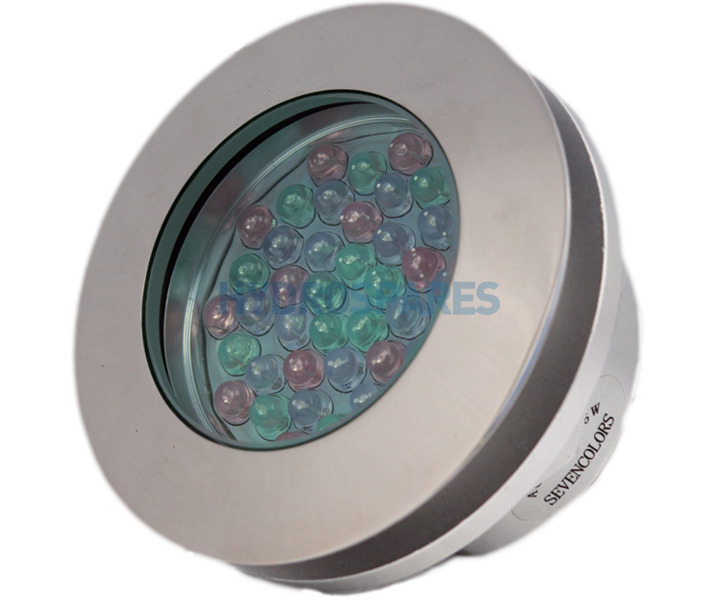 7 colour LED bath light, auto cycles through various colours, comes with 1.5m of cable and attached transformer. Double insulated supply cable is meaning you only have a live and neutral to connect to your control box. It has its own in line 230V - 12V transformer.The light fitting itself is IPX8 as per BS:7671.